Some years ago, we spent a week in a small hotel near Place St Michel. Notre Dame was an ever-present sight and an orientation point as we explored the crooked medieval streets of "our neighborhood." We had the luxury of going inside on a whim to view the stained glass windows in the morning and in the afternoon, enjoying each window when it glowed the most beautifully. We watched tour groups gather, then march into the cathedral and marveled at chic women in high heels, bicycling across the cobblestones of Place Parvis. 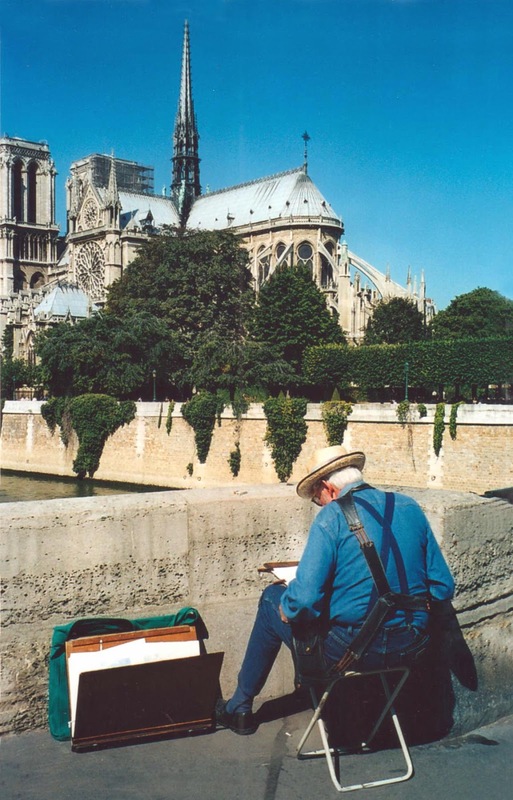 One afternoon this gentleman sketched the flying buttresses of Notre Dame. Oh how I wished to join him on that fine sunny day. Now the scene is different. The story of Easter is one of triumph over death. 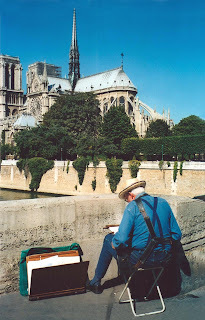 I hope that Notre Dame de Paris will somehow be reborn. 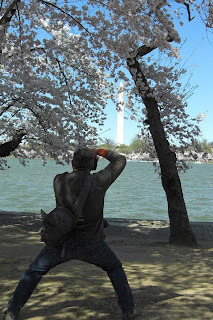 The cherry blossoms have been at their peak bloom this week. Crowds of people wandered along the too-narrow path that circles the Tidal Basin. 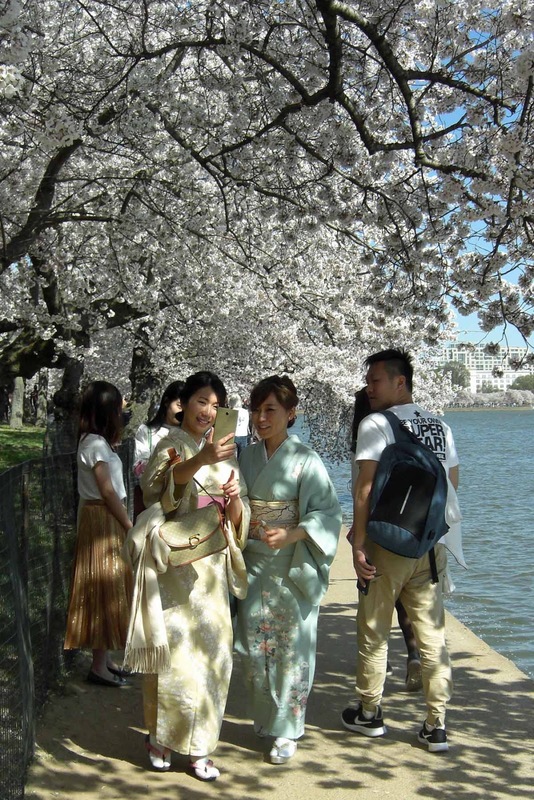 Some arrived ready to have their photos taken, dressed in pink, or white outfits, carefully chosen to harmonize with the blossoms. 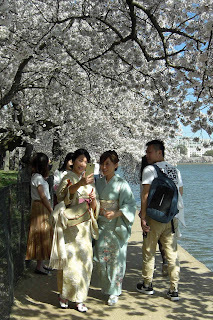 No one looked as good--or as appropriately dressed--as the two young women in kimonos. They strolled along, chatting with a friend on the phone, sharing the views of the blooming trees. For a minute, I could pretend that I was in Japan. It was delightful.